The 2019 YOUCEE Conference invites students from several European countries to the Netherlands to reflect on and discuss topics like war, peace, justice and international cooperation. 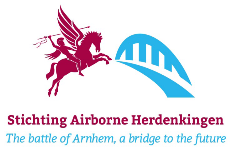 The Battle of Arnhem (17th – 26th September 1944) is the starting point and the students will get ample information about the actual battle in museum visits and battlefield tours. The focus will be on the interaction between students as they learn about the achievements of Europe since 1944. What is life like in Europe in 2019, how do we perceive ourselves within the European borders and institutions of the modern day, what lessons have we learned from the Second World War and how do we apply them to life today? This international youth platform provides an opportunity for expressing personal ideas, opinions and views in a multi-cultural setting and a relaxed atmosphere. The highlights will be the Arnhem Model United Nations conference on 20st September and the contributions towards, and attendance at the commemoration ceremonies on 20st , 21nd and 22rd September. Educational packages will be distributed in all the participating countries and will be used to prepare for the conference.